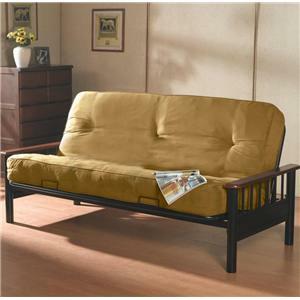 Bring casual and comfortable style to your bedroom or living room decor with this futon. The piece features a black metal frame as well as arms with a wooden top. In addition, the pocket coil mattress is tufted and comes in a Power Camel fabric. Whether you're looking to bring a touch of simplicity into your home, or are looking to add a spare sleeping quarters, this futon is bound to leave you pleased. 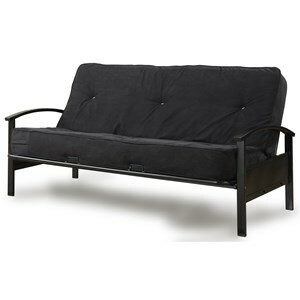 The Futonz To Go Bismark Futon w/ Metal Frame by Primo International at Colder's Furniture and Appliance in the Milwaukee, West Allis, Oak Creek, Delafield, Grafton, and Waukesha, WI area. Product availability may vary. Contact us for the most current availability on this product. 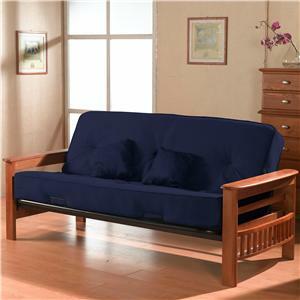 The Futonz To Go collection is a great option if you are looking for furniture in the Milwaukee, West Allis, Oak Creek, Delafield, Grafton, and Waukesha, WI area. 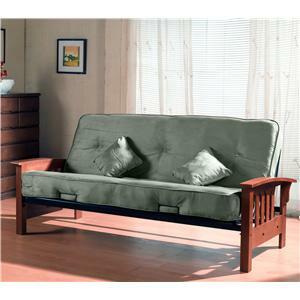 Browse other items in the Futonz To Go collection from Colder's Furniture and Appliance in the Milwaukee, West Allis, Oak Creek, Delafield, Grafton, and Waukesha, WI area.